Poland’s prime minister, president and former heads of state and government on Saturday took part in a funeral service for a popular mayor whose fatal stabbing shocked the country. 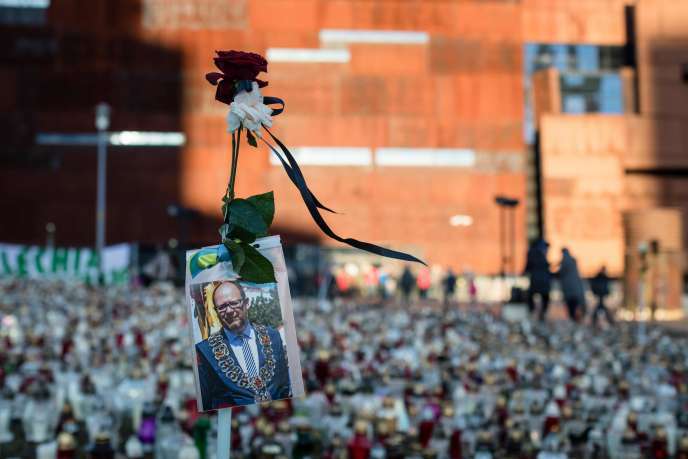 Paweł Adamowicz, 53, mayor of the northern city of Gdańsk, died earlier this week from severe wounds inflicted by a knifeman during a high-profile charity event. Among those who attended his ecumenical funeral service were Poland's President Andrzej Duda, Prime Minister Mateusz Morawiecki and a string of former presidents and premiers, as well as European Council chief Donald Tusk, former German President Joachim Gauck and Polish opposition politicians. Crowds gathered outside the Basilica of the Assumption of the Blessed Virgin Mary in Gdańsk, where the service started at midday. An urn with Adamowicz’s ashes was laid to rest in a chapel at the basilica. Giant television screens in several Polish cities broadcast the ceremonies to the public. 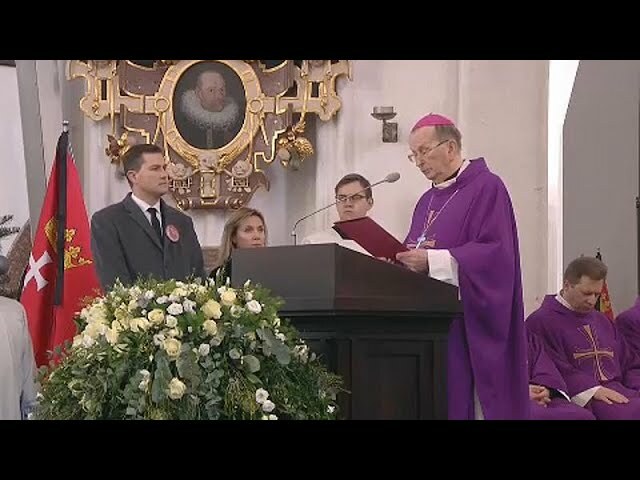 In a sermon at the funeral service, Archbishop Sławoj Leszek Głódź said the mayor's killing was seen by many a “powerful, sudden, unceasing alarm bell” signalling the need to weed out the “language of contempt, humiliation, depreciation” from Polish politics and society. Adamowicz’s killing, which made international headlines, caused shock in Poland and prompted calls for an end to hate speech in a country which is bitterly divided politically. President Duda has declared a national day of mourning in honour of the murdered politician, to be observed from 5pm on Friday to 7pm on Saturday. In the wake of the murder, investigators were following up on leads suggesting that the assailant had psychiatric problems. Poland’s interior minister has said that the 27-year-old knifeman, detained at the scene of the killing at a charity event in Gdańsk, was a repeat offender who was in the past convicted of armed robberies.